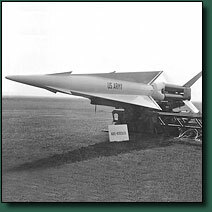 This photo Collection documents A NATO Weapons Demonstration held in Munich in 1960, and is included on this website because members of Charlie Battery were sent TDY to participate in the Nike Ajax and Nike Hercules Guided Missiles display area. The Charlie Battery men who participated in the Nike Section were: Jerry Haslett, Herbie Phipps, and Ron Smith. It was virtually impossible to find much information about this event, although I did manage to find on book by a research historian at a university in the UK, but it was over 100 dollars. I did manage to glean some information out of abstracts about the author and her writings, and it seems that NATO felt the need to do some PR and Informational Demonstrations in order to demonstrate its potential and might to the Russians. It was pretty much a self aggrandizement and propaganda exercise, but I guess they felt the times required it. I personally think this photo collection is rather rare, and would be of interest to those who are students and historians of the time, and the original hi-res scans could be made available upon request. 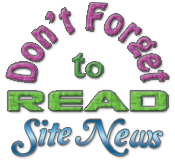 Please use the email contact link located at the bottom of each page. Because the demonstration was spread out over such a large area I thought a much larger image would be helpful to get an idea of its full scope and size, which also makes it easier locate the various weapon displays. The link to that image is located in the text area of the first image of the following page. It is interesting to note that several of the weapon displays have reviewing stands as presentations given by the various units represented. This collection was contributed by Jerry Hasslet of the IFC.